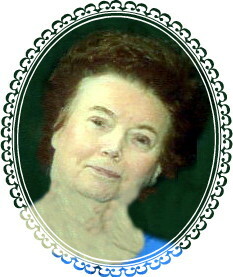 Ruth A. Wiest, 79 passed away on Monday, March 25, 2019 at Richmond University Medical Center. admitted to the hospital, Ruth passed without experiencing any suffering. We extend our heartfelt condolences to all of Ruth’s family. When we lose someone it causes Heartache that can be hard to bear. But in this difficult moment may God be your refuge and strength, A help that is readily found in times of distress. – Psalm 46:1 And may your treasured memories of Ruth bring you a measure of comfort now and in the days ahead. To Tim and Joyce…Carol & I want to send our condolences, love and prayers to you and your families. Our connection is: We live in the same town (Pitman, NJ) as your cousin, Barbara “Bobby” (Wiest) and her husband, Joe Graves. Bobby’s mother was Esther Leach (my father’s sister) and married George Wiest. Take care and God Bless. Ruth Wiest was more than a friend…..she was our sister in Christ. She will be sorely missed but we rejoice in the knowledge that she is at rest with her Lord and Savior Jesus Christ. John 3:16 Ruth served for many years at New Dorp Baptist Church as Sunday School teacher, Musical Director, Soloist and in whatever task she was asked to take on. She was well known for her fantastic Christmas Parties held for her friends every year. Many people were truly blessed by her life, her sweet friendship and her generosity. “I know that our Redeemer lives.” Job 19:25a NIV. What joy and hope we have …. we will meet you again Ruth and join you as you sing in God’s heavenly choir. Our condolences and sympathy to all her family. I am so sorry about Ruth but she is with her Lord and Savior and rejoicing. I have fond memories of her. She was my youth leader, my choir director and especially, my friend. I still will miss her emails but I have kept quite a few over the years. I have so many fond memories of our time together with friends. Please accept my sympathy for your loss. We send our prayers to you. May God surround you with His love and comfort you. We and our family have so many wonderful memories of a dear friend.